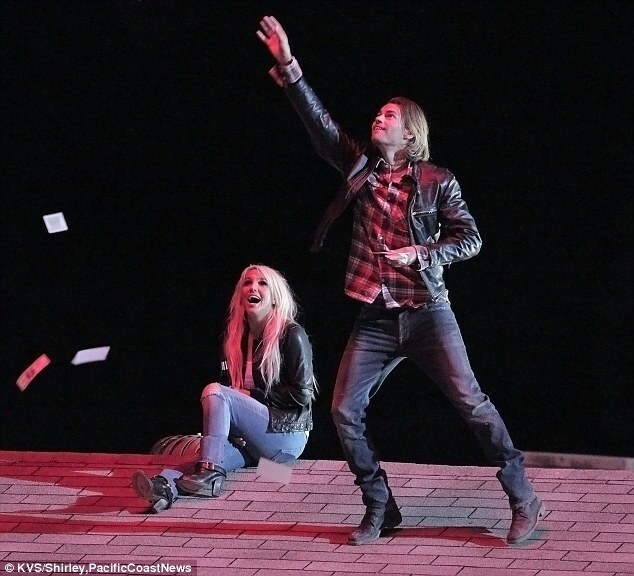 Britney Spears filming her new music video “Perfume” with a male model. It’s that time of year again when we pause to reflect upon what we’re thankful for. I’m thankful to have the most amazing fans in the world who have been there for me through everything! December is a busy month for me. My new album, Britney Jean, drops on 12/3. My Las Vegas show, Britney: Piece of Me, kicks off 12/27 at Planet Hollywood Resort & Casino. And, on 12/2 it’s my birthday! This year, I’m doing something different for my birthday. I’m dedicating it to the kids of St. Jude. Help me out by not buying me a gift this year. Buy them a gift instead — the gift of another birthday. That’s right: the best care in the world, for free, because of people like us. Now that’s something worth celebrating. In January of this year, Britney Spears found her life and career in transition again: On the same day, she announced that she would not be continuing as a judge on Simon Cowell’s X Factor, and that she and fiance Jason Trawick were splitting up. 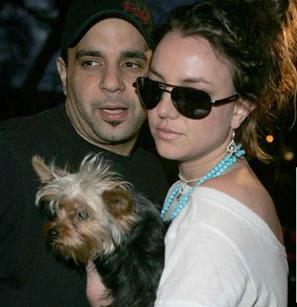 The breakup was complicated by the fact that Trawick, a talent agent, also had been legally named one of Spears’ co-conservators – a supervisor, along with Spears’ father, Jamie, of the singer’s personal affairs, approved by the L.A. County judge who has presided over her life since her breakdown in 2007. Now, with Trawick out of the picture, Spears seems to be asserting herself on her new album, Britney Jean, out in December: “After having a huge breakup this year, I had a lot to say in the studio,” she said this fall. At the center of the new album is Will.i.am (who collaborated with Spears last year on the hit single “Scream & Shout”). Over the course of two months this past spring, Spears and the Black Eyed Peas leader met up for a series of long lunches in Los Angeles. Will.i.am ended up executive-producing Britney Jean. “Sometimes I’d write songs; some of them came from other people. But Britney wrote a lot of the songs.” Australian hitmaker Sia contributed heavily to the single “Perfume,” a track she penned with Katy Perry titled “Passenger” and an uplifting midtempo number called “Brightest Morning Star.” “Britney was extremely sweet,” says Sia. “She came in with the title ‘Brightest Morning Star’ and told me that’s how Jesus found his way. She wanted to write a kind of gospel song that wasn’t ramming it down your throat.” David Guetta, Diplo and William Orbit also wrote and/or produced songs. Last night it was time for L.A. Reid, Demi Lovato, Simon Cowell and Britney Spears to slice the X Factor acts down from 16 to 12. ‘They’re like my children, so it’s going to be very hard to choose which one of my children will go home,’ Britney said, presumably not meaning that she’s driven with her acts on her knee as she did with Sean Preston when he was five months old. But she did drop one of them, as he nearly did with Sean again allegedly back in 2006, and in all seriousness, it seemed like a painful decision to make for the sensitive star. The beauty decided to send 13-year-old Diamond White home after her amazingly moving version of Elton John’s Sorry Seems to be the Hardest Word. Each mentor picked two of their four acts for a safe pass through, then the remaining two acts in each category had to sing for survival. In the Young Adults group (ages 17-24), Demi put through Jennel Garcia and Paige Thomas. After Diamond’s Elton balladeering, L.A told her: ‘You are a sensational vocalist, no matter you have a real future in this business.’ Demi added: ‘I like the soul and fire behind your eyes,’ and Simon pitied poor Britney her decision. ‘This is like the hardest decision ever,’ she said. Britney Spears‘ former confidante and self-professed manager failed to prove his libel and breach-of-contract claims against the singer’s parents and her caretakers, a judge who dismissed the case mid-trial ruled Thursday. Los Angeles Superior Court Judge Suzanne Bruguera said an attorney for Sam Lutfi hadn’t proven any of his allegations in the case that centered on events before the singer’s public meltdown more than four years ago. Lutfi’s side rested its case Tuesday, but Bruguera agreed with arguments by attorneys for Spears’ father and her conservators that there wasn’t sufficient evidence to send the claims to a jury. Lutfi had sued Lynne Spears for libel and the singer’s father, Jamie, for allegedly hitting him at the singer’s mansion in an incident shortly before Jamie Spears and others were granted control over the singer’s life. Lutfi also had claimed he was owed a 15 percent share of the singer’s earnings, but Bruguera disagreed. The case centered on many of Britney Spears’ darkest moments, including a pair of psychiatric hospitalizations that led to her father being named her conservator. 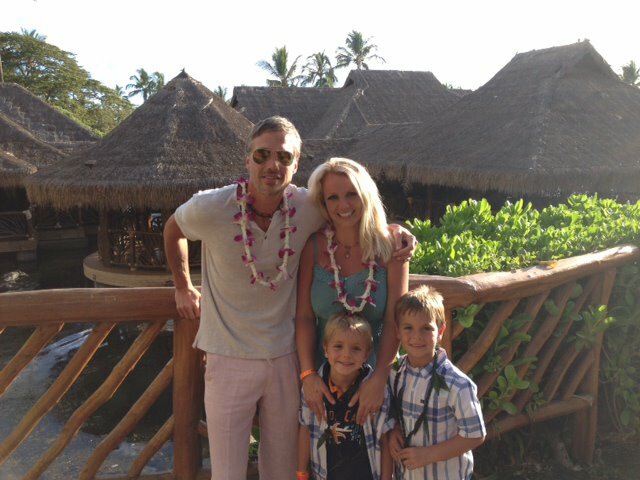 Her fiance, Jason Trawick, was added as a co-conservator earlier this year. The arrangement is overseen by a probate judge who had directed them not to allow the singer to appear at the trial. Britney dressed up as a witch for Halloween on the set of The X Factor. She wore a black hat and cape and cast a spell over her witch´s cauldron! Britney Spears was pictured for the first time with her X Factor group. She will be in charge of mentoring the “Teens” this year. Check out this newly leaked Britney song “Pleasure You” which was recorded in 2010. It was in contention to be included on her last studio album, “Femme Fatale”. Unfortunately, the leaked version also includes vocals from another singer. Simon Cowell says Britney Spears is serious when it comes to finding talent. Part of what Cowell likes most about the pop star – with whom he is “fascinated” – is her down-to-earth nature.